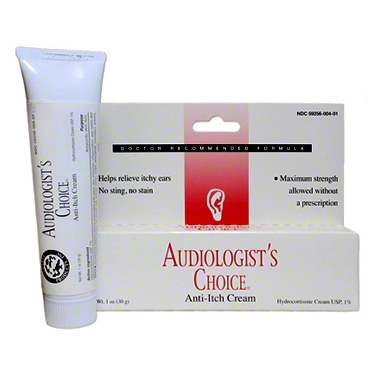 Audiologist's Choice Anti-Itch Cream 1 ounce tube. Hydrocortisone formula helps to relieve itchy ears with no sting, no pain. Maximum strength allowed without a prescription. For external use only.